R0147. 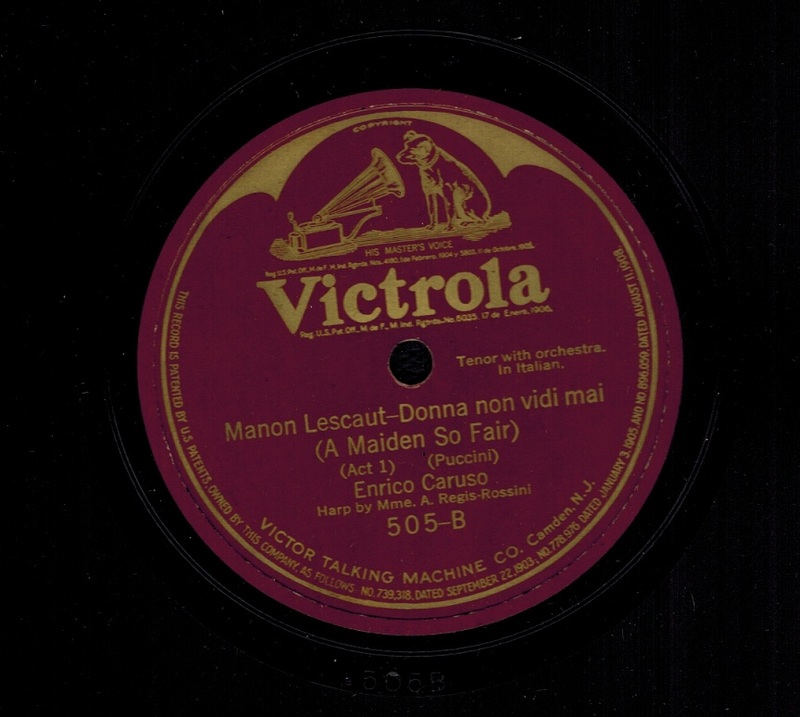 ENRICO CARUSO: Otello – Ora e per sempre addio (this side a Pantograph pressing, as always) / Manon Lescaut – Donna non vidi mai (Puccini). 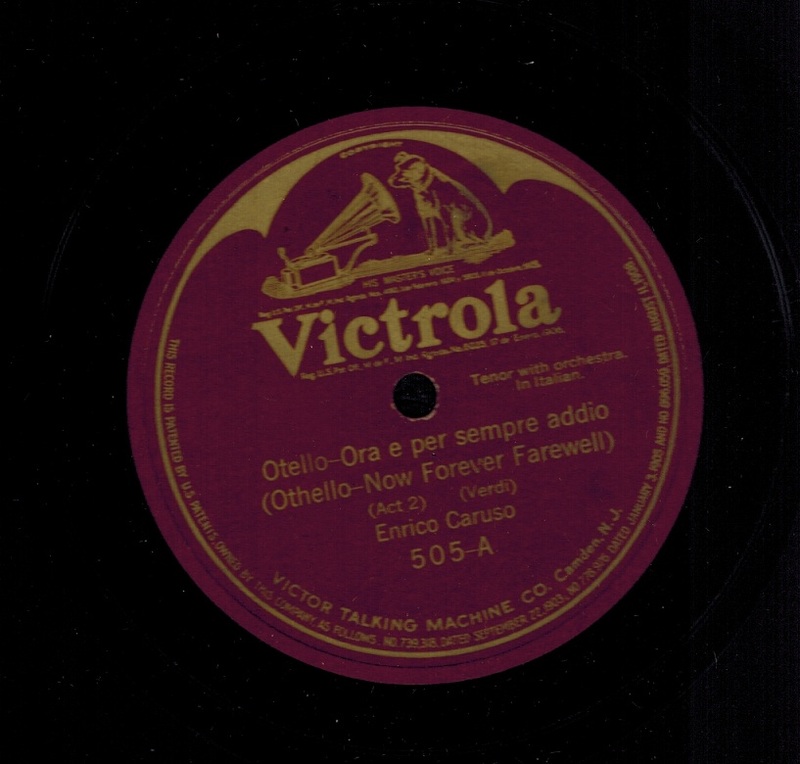 10” AC Vla 505, POM-28 Dec., 1910 / 24 Feb., 1913. Spectacular copy.